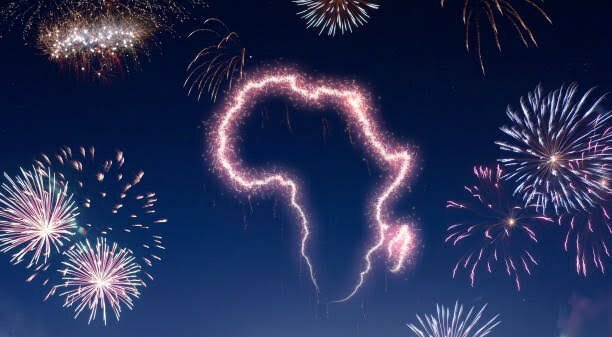 WAfrica One Year AnniversarysteemCreated with Sketch. WAfrica will officially be active on the Steem blockchain for one year on 23rd March 2019 which is two days from today. And this calls for a celebration. Hip! Hip!! Hip!!! - Hurray! Congratulations to @surfyogi, the WAfrica team, the WAfrica community and the entire Steem community. It has been a great one year filled with exciting and rewarding activities for everyone even reaching out to those who are not on the Steem blockchain. This deserve a celebration, don't you think? 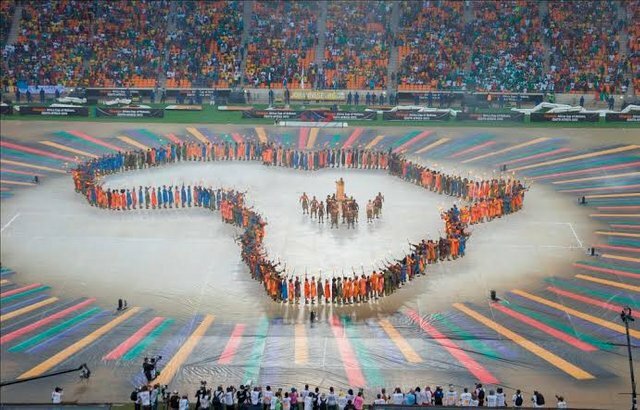 To celebrate this special event, the WAfrica team has put together a special discord show which will be hosted by our great Host @mediahousent with support from us all at #wafrica. 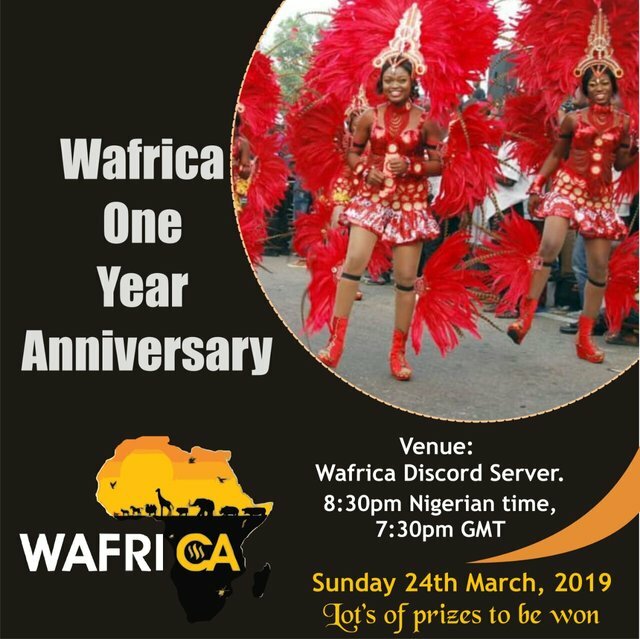 The anniversary party will host on Sunday 24th March, 2019 By 7:30pm GMT/ 8:30pm Nigerian time. We heartily invite everyone reading this to mark the time and date on their calendar to attend. There will be lots of great activities for the anniversary party and we are putting together great anniversary bounty, so there will be plenty of prizes to go round. Invite your friends and share this on your social media to invite others including those who are not yet on Steem. In addition, we have free instant Steem account to give to members of the public who would want to join Steem without having to wait days for confirmation. Do contact lordjames on discord, lordjames1 on telegram, mlordjames on twitter to request for the account. Enough said already, remember Sunday, March 23rd by 7:30pm GMT at https://discord.gg/ngBsRuJ Come one, come all. These moments will forever be dear in my heart. Congratulations to us all, the people that makes the community is what gives us strength. Party preparation in full gear, cheers. Looking forward to the show, let's celebrate WAFRO tokens too! Phew!! My dancing shoes are ready.. In massive Addy to us. Will be plus one too on March 23rd, my birthday. Great to know that. And a good initiative to on board more people on steemit. Go ahead! It’s one year of tremendous achievement!